Suicide Squad Character Poster - Slipknot. Adam 海滩 as Slipknot in Suicide Squad (2016). 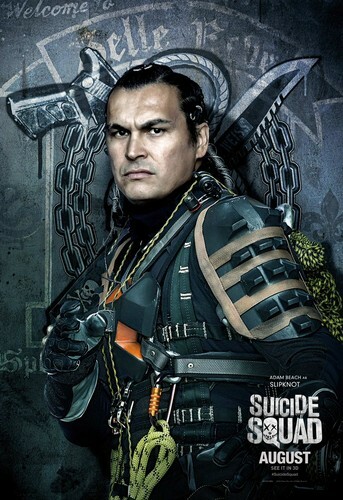 HD Wallpaper and background images in the Suicide Squad club tagged: photo suicide squad movie 2016 poster character adam beach christopher weiss slipknot belle reve. This Suicide Squad photo might contain 步枪兵, 步枪手, 绿色贝雷帽, 特种部队, 精英士兵, 绿色贝雷帽特种部队, 海军印章, 印章, 海军海豹, 海豹, and 海豹海豹.